Lomonosov Moscow State University has already opened its branches in 6 countries. The birth of a new educational institute - a Branch in Koper, which we established together with the University of Primorska - is an extremely important event. Universities are one of the best inventions of mankind, because they give us hope, they give us future. In each city, usually there are two most significant buildings and one of them - usually the building of the University. I would like to emphasize that the MSU Branch in Koper is special for us, it differs from the others that we opened earlier. After all, our slavic soul, roots, culture and traditions connect us with Slovenia. MSU has a long tradition of interaction with the Slovenian education system. Moscow State University is the only university in Russia, where Slovene language and literature are taught as the main slavic specialty. At the philological faculty of MSU Slovene studies have existed for more than 50 years. I know that interest in studying the Russian language has been growing in Slovenia. In December 2016 the Slovenian side proposed the creation of an independent full-scale branch of the MSU in Koper. In February 2017, within the framework of the official visit of Slovenian President Borut Pahor to Russia, a Memorandum of understanding was signed between the Government of the Republic of Slovenia and the Lomonosov Moscow State University. It reflected the general principles for the establishment of the Branch of the Lomonosov Moscow State University in Slovenia. As a result, on November 20, 2017, the MSU Branch opened its doors in the city of Koper. The branch is set up to implement educational programs of the MSU and joint educational programs of the MSU and UP, that are aimed at training specialists focused on the development of cooperation between the two countries. The main task of the Branch is to teach Russian language, Slavistics, mathematics, economics, cultural studies, political science, biology and number of other areas of interest on the basis of the MSU standards to the citizens of Slovenia and neighbouring countries. In addition, it is expected that the Branch will implement joint research and educational projects aimed at developing economic partnership between countries. Cooperation in the field of high technologies is also important for us, in particular, the development of new materials for the needs of the industry of both countries, which would be based on nanotechnology. Information security, creation of large databases, supercomputing - these are the areas in which MSU has a huge experience, and we are ready to share it. I am confident that the creation of a unique Branch of Lomonosov Moscow State University, one of its kind and the first in Europe, will be an important milestone in the development of Russian-Slovenian cooperation in science and education. Unified educational space is being created for the training of specialists adapted to work in countries of the European Union and Russia. MSU and UP will be able to use their best educational resources to train highly qualified personnel with fundamental knowledge. Unification of the scientific and educational potential of Slovenia and Russia, with the involvement of business communities of our countries and neighboring countries, can play an important role in strengthening our mutually beneficial cooperation. We can say that there are two extreme views on life. First one tells us that we have our free choice, so a person can at any time become the creator of his future. According to the second, we do not affect life by either modeling based on experience, nor, even more, impulsive desires. Life is too complicated to be unpredictable. Each of these two points of view has the right to exist. Mathematics, with its accuracy, allowed to achieve such scientific results, without which our civilization is not conceivable. One of its basis is set theory, where a contradictory axiom of choice occupies a special place. In a simplified form, it says that given any collection of bins, each containing at least one object, it is possible to make a selection of exactly one object from each bin. We can say differently: the axiom of choice assures us that at any moment we can choose any desired sequence in our thoughts, hopes and desires. In short, we can choose the scenario of our own life. This is a bold postulate that can also be interpreted as the inevitability of people forming their future in addition to the their present. And one more extreme. The theory of the "Black swan", which originates from financial studies and stock exchange activities. It describes the type of unexpected, random, rare and unpredictable events that have a significant impact on other events. An example is the global stock market crisis, "Black Monday", October 19, 1987. For protection from "black swan" we are powerless and can only assume that from a lot of "white swans" at some moment a "black swan" can appear. It's clear. The internal structural balance of each system and, consequently, the stability of each system are in constant confrontation with the influence of external factors and external pressure. When they exceed the upper limit of acceptance, the internal balance is broken. The system must be transformed and, with a slow but consistent movement, find a path to new stability. Somewhere between the axiom of choice and the "Black swan" is written the history of cooperation between the Lomonosov Moscow State University and the University of Primorska. We are at the first stage - the establishment of the Branch of the Lomonosov Moscow State University in Koper. From this point, we can go only forward. The number of stories that can be written is great. Each of them can be significant in itself for Koper, for Slovenia, for the regions in Istria, Croatia and Italy, for the whole of Europe. The Branch will work best if it acts as a single whole, consisting of different but cooperative parts. We live here, in the heart of Europe, and therefore we love this place where the sun rises and sets. 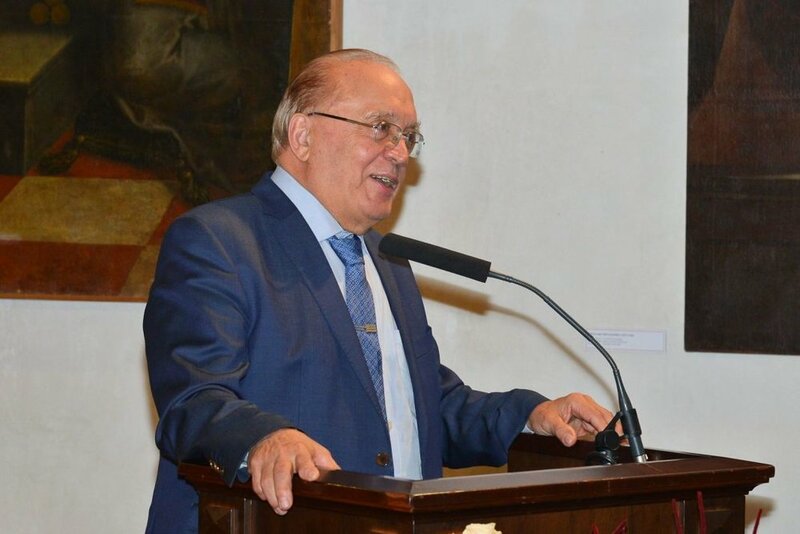 In accordance with this universal model, science and economics are also working, which in this project are closely related to each other within the Lomonosov Moscow State University in Koper. That's why I do not doubt that we will succeed. We just have to remember that black swans are very rare. In essence, the Branch institutionalizes the idea of eveloping joint education in order to promote economic cooperation between the two countries. Two business schools - the Faculty of Management (UP) and the Moscow School of Economics (MSU) began to develop this project in 2014. Both faculties in October 2014 signed an agreement on implementation of the joint education in the field of economics and finance in order to prepare graduates for work in Russian companies operating in the European market and European companies operating in the Russian market. As a result, the faculties began cooperation to implement the idea of common European-Russian education in order to develop economic cooperation. The joint activity of the faculties in 2014-2016, in particular, the organization of joint international scientific conferences, a joint summer school, as well as other activities aimed at promoting cooperation between science and entrepreneurship, strengthened the foundation for enhancing partnerships from level of faculties to level of universities. On the one hand, the largest and world-famous Slavic univercity – the Lomonosov Moscow State University, on the other - the most western of Slavic univercities – the University of Primorska. Having signed the cooperation agreement, both universities committed themselves to create in November 2017 the Branch of the Lomonosov MSU in Koper. At the same time Univercity of Primorska became a springboard for the implementation of European-Russian education in the framework of the first European branch of the Lomonosov MSU. In February 2017, the Government of the Republic of Slovenia having signed a memorandum with the Lomonosov Moscow State University, also supported the project to establish a branch in Koper. Thus, Koper has become a European city of development of European-Russian education, and the program "Economics and Finance" is the first program of two universities, to which the program "Mathematical Sciences" and "Political Science" joins. All three programs are the first joint proposal for the 2018/2019 academic year, which is the first academic year of the MSU Branch in Koper. Education is the first of two branch projects. The second direction is the development of economic cooperation, incl. in the field of employment of graduates. The core of the development of economic cooperation is represented by the joint Board of Trustees of the MSU Branch in Koper. The Board of Trustees is a well-proven tool introduced into the academic environment. In the future work of the MSU Branch in Koper it is necessary to emphasize its special role. In order to support the European-Russian education, the institutional environment of which is provided by the Branch, a European-Russian Board of Trustees has been established. It consists of representatives of European companies operating in the Russian market, as well as representatives of Russian companies operating in the economic space of the European Union. Thus, membership in the council can be determined from the point of personality, as well as institutionally (with the company, represented on the Board). The unification of all companies under the auspices of the Board of Trustees forms an economic incubator for graduates of joint educational programs, their employment in companies represented by council members. The second task of the council is the development of new joint economic projects that create new jobs and strengthen the sphere of economic cooperation between the EU and Russia. The mission of the Branch is the development of European-Russian education for building and strengthening economic cooperation. The vision of the Branch is that, due to the fulfillment of a specific mission, a well-organized and successfully functioning organization will systematically develop and implement educational programs to develop new initiatives for economic cooperation between the EU and Russia. To fulfill this mission, three components are needed - students, academic sphere and business from the private and public sectors. For general development, we invite the public as a whole and each individual person.